bulk sms is important tool to use in your ecommerce business or even to other cases. If you are running an online store or a physical store is important to notify your customer for new arrivals and flash sales. You could do this using bulk sms because is a more efficient tool than email higher open rates. You could drive sales by sending sms with special coupons, discount offers and also include active links that point to optimized landing pages. The branding is important factor in campaigns so you can send sms with a sender ID that is your store's name and not your personal sms number. You could send sms to inform customers about the status of their orders. If their completed was sent to the courier services, or if you order to make a pickup from the physical store that your order ready. 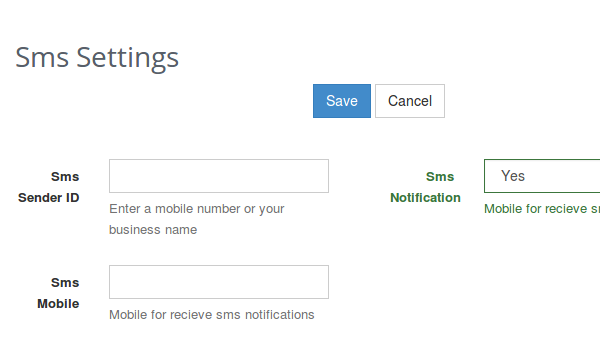 In 24 hours we will approved your Sms Sender ID, you will able to send sms through our system with 10 digit word.